The latest results of the American Customer Satisfaction Index for retail and e-commerce show Amazon with a solid lead in customer satisfaction in both Internet retailing and across the entire department, discount and specialty retailer chain categories. Their score of 85 on the ACSI Index puts them ahead of Nordstrom (84), Target (81) and Kohl’s (81) in addition to exceeding the Department and Discount Category Score (77). Amazon also stayed above the entire Specialty Retail Scores Index (78), surpassing Office Depot (84), Costco (83) and others as well. You can find the results of the February 2013 and Historical ACSI Benchmarks here. While Amazon continues its rock-solid performance as measured by the ASCI Index, Netflix provides a powerful cautionary tale of what happens when companies cross their customers, forgetting customer experience rules. NetFlix first was included in the ASCI Index in 2007, attaining a score of 84. The company continued to manage customer satisfaction and the customer experience well until 2011, when their score plummeted from 86 to 74. After raising prices 60% during the 3rd quarter of 2011, NetFlix lost 800,000 customers and announcing plans to split its DVD-by-mail service into a new business called Qwickster that same year ( a plan they later abandoned) drove customers away in droves. Even with all the work NetFlix has done in 2012, their score moved just one point last year on the index. 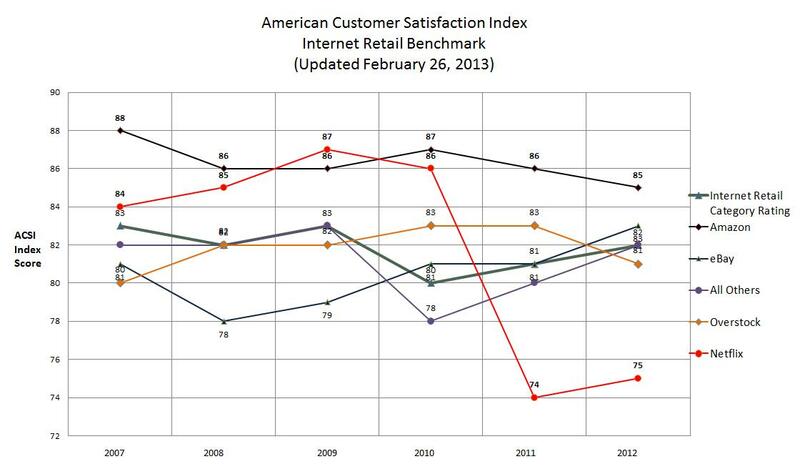 The following chart compares ACSI scores for Internet Retailers for the years 2007 through 2012. Please click on the chart to increase its size for easier reading. Bottom line: Managing customer experience is more important than managing products or services, because their influence on the long-term performance of a business is far more powerful and long-lasting. 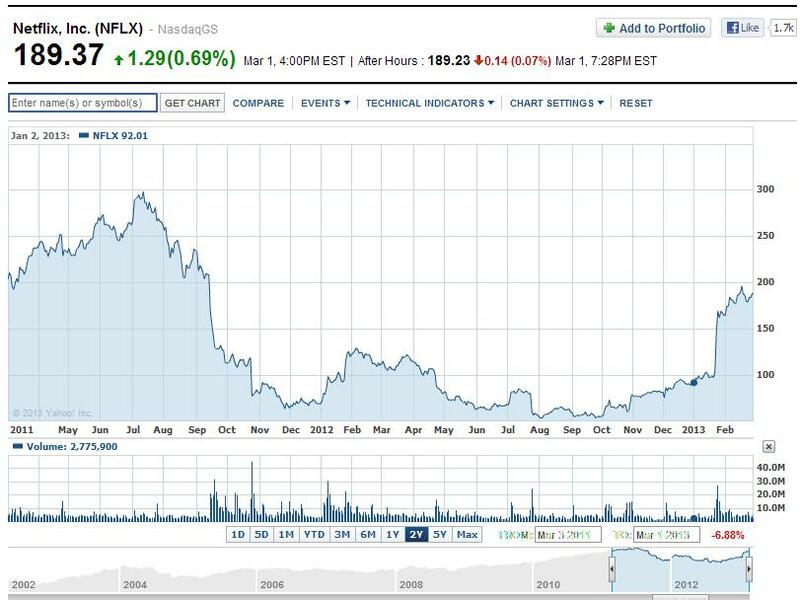 While NetFlix has been able to raise their stock price since 2011, it is doubtful they will ever regain the momentum they had. Customer experience is a leading indicator of financial performance, NetFlix provides a clear message of how powerful it is.